We met at the garden this morning to dig in another trench of potatoes, thin our radishes, and give the beds a little drink. We brought paper cups of hot coffee to help us wake up. But the warm breeze and the sight of an eagle swooping through the trees roused every one of our senses. We always feel bad thinning sprouts, deciding which little vigorous guys get to fully mature. 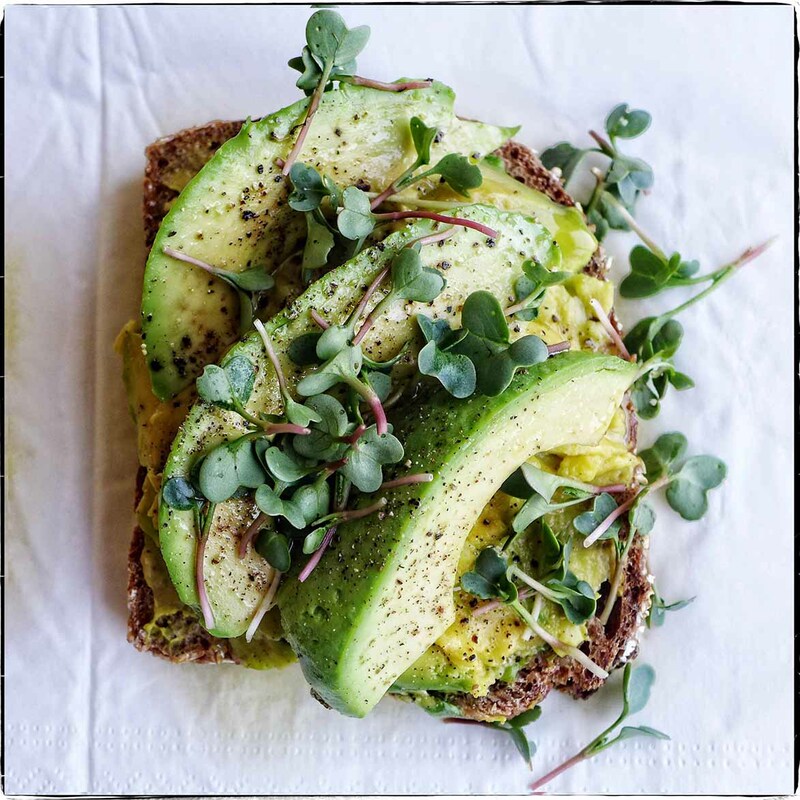 But topping our avocado, olive oil, and salt and pepper sandwiches with the radish sprouts makes us feel much better. Waste not want not.